React Native, Redux, Relay, GraphQL and Parse by a single developer, then you were right (and probably you should start playing Powerball). Alex Kotliarskyi did just that, and you can both check the out on Google Play and App Store and browse its source code today! 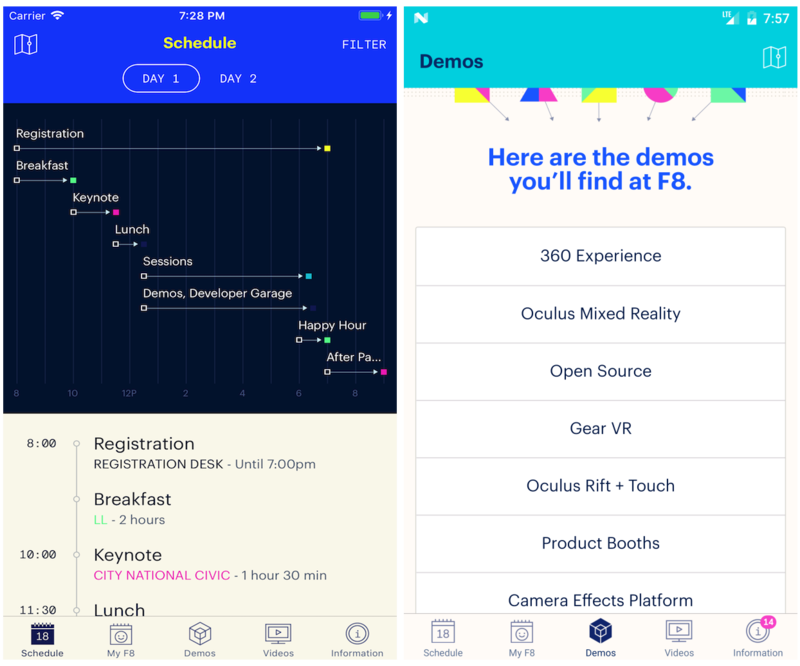 This is the entire source code of the official F8 app of 2016, available on Google Play and the App Store. We've created a series of tutorials at makeitopen.com that explain how we built the app, and that dive into how we used React Native, Redux, Relay, GraphQL, and more.